We have returned to the water and the well of Lynch/Frost's surreal vision to discuss some of the themes and ideas that have resonated with us in the months since The Return hit our screens. Each episode will use the given title of each 'part' of season 3 as a jumping-off point, starting with My Log has a Message for You. In this, our first of a new 18-episode podcast run, we'll be discussing the symbolism of trees and forests within the show, and their link to doubles, doppelgangers and tulpas, by way of the recurring image of a telegraph pole. Be Seeing You... in the trees. Time for Cakes and Ale, a podcast featuring geeky ramblings with Becks & Eeson, and also home to "Time for Cherry Pie and Coffee", a Twin Peaks podcast, and "The Tally Ho", a Prisoner podcast. 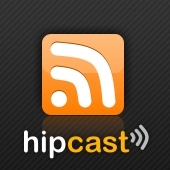 Subscribe and rate the podcast on iTunes, Hipcast, Stitcher and more!